August 21, 2008  The Beaux Arts Trio, with founder Menahem Pressler, will play its final U.S. concert at the Tanglewood Music Festival on Thursday night, 53 years after the group got its start there. The farewell performance will stream live at NPR.org. August 19, 2008  Led by founding member Menahem Pressler, the Beaux Arts Trio performs an emotion-laden final U.S. concert at the Tanglewood Music Festival in Massachusetts, the venue where the ensemble got its start 53 years ago. August 12, 2008  "No one expects such a mighty voice to issue from my diminutive frame," the 4-foot-3 singer writes in his new memoir. July 29, 2008  Born nearly 100 years apart, Mozart and Mahler shared a knack for writing transcendent music under stress. Live from the Mostly Mozart Festival, hear Mozart's 40th Symphony, filled with pride and pain, and Mahler's ode to eternity, The Song of the Earth. June 17, 2008  Schumann's Piano Concerto was the result of a major rewrite. Paul Chihara did a little reworking of his own on Schumann's Overture, Scherzo and Finale. The Orpheus Chamber Orchestra plays both remodeled pieces at Carnegie Hall. 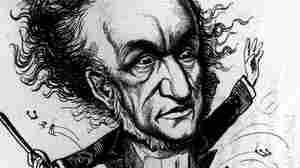 May 29, 2008  The mere mention of Richard Wagner's name can be a lightning rod for controversy. Wagner the man was a scoundrel, but his music was far ahead of its time. Wagner biographer William Berger joins NPR's Lisa Simeone for an overview of the artist and his groundbreaking music. May 22, 2008  Their music might be vastly different, but when folk-rocker Josh Ritter and classical violinist Hilary Hahn share a concert stage, surprising connections develop between the two performers and their audience. April 7, 2008  The composer's spare but beautiful music was inspired by Hans Christian Andersen's story The Little Match Girl and its religious connotations, as well as J.S. Bach's St. Matthew Passion. 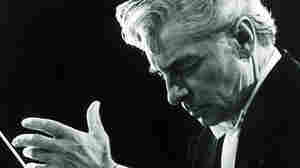 April 4, 2008  Karajan shot to the top of the classical music scene in the 1950s, remaining supremely powerful until he died in 1989. 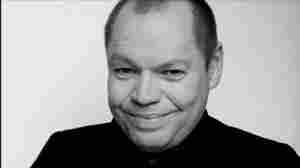 He left a legacy of gorgeous recordings, as well as a fair amount of controversy. March 18, 2008  In J.S. Bach's day, in Leipzig, the musical event of the season came on Good Friday, when parishioners could hear the passion story told in music. Tenor Ian Bostridge and conductor Ton Koopman join others in a guided tour of Bach's St. Matthew Passion. March 11, 2008  The adventuresome Orpheus Chamber Orchestra introduces its newest commission, a companion piece to J. S. Bach's Brandenburg Concerto No. 3, the second installment in the series called "The New Brandenburgs." March 3, 2008  Di Stefano was known for his thrilling Italianate voice and his successful collaborations with soprano Maria Callas. The retired tenor had been brutally attacked in 2004, and never recovered. February 26, 2008  In an act of symphonic diplomacy, conductor Lorin Maazel takes the New York Philharmonic on a historic visit to the North Korean capital, Pyongyang, armed with music by Gershwin and Dvorak. But the unprecedented event is not without criticism. February 14, 2008  At age 63, Czech composer Leos Janacek began his most unusual writing project: a constant stream of love letters, more than 700 in all, written to a married woman 37 years his junior. His love was unrequited, but the music remains remarkable. February 11, 2008  Over an 18-month period, Joan Tower's Made in America was heard in all 50 states, played by 65 different orchestras. Her composition, conducted by Leonard Slatkin, has now netted three Grammy awards.